What is it with the colour yellow? 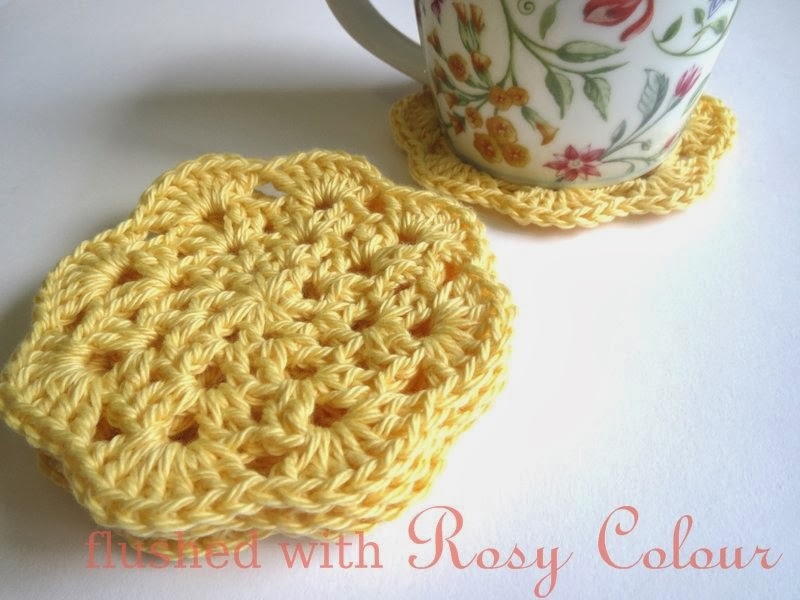 These coasters I listed in my online shop yesterday have more views than most things in my shop, with the exception of the yellow flower coasters! 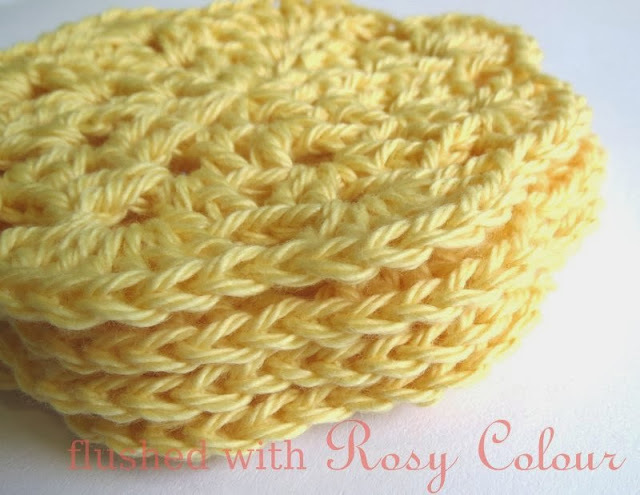 I've ordered some yellow 4 ply and it should arrive any day now so I can make more things in yellow, it seems to be the colour people like to look at right now! 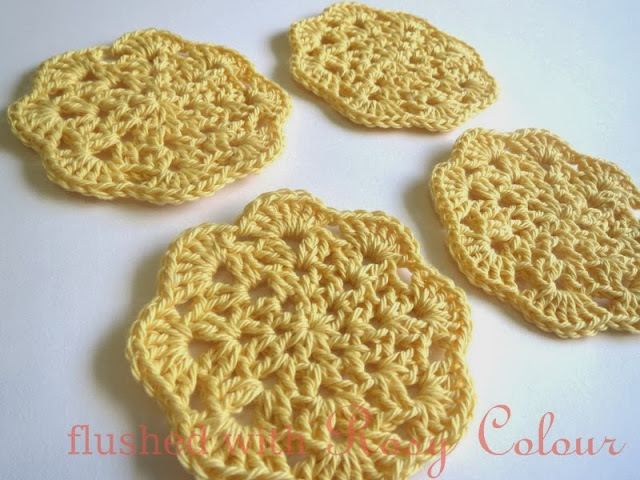 These yellow doily coasters are the same as the green ones I made, with a 3.5mm hook and 7 dc in the last round clusters instead of 8.